It was a further fifteen months before Perth, without question the most isolated ‘big town’ on Earth, became the Galapagos of the television world. Because current News (in the form of moving pictures) was upwards of a day away in the Eastern States and a week in the outside world, local happenings were of more importance to the Western Australian metropolitan viewers. Important events from overseas were covered with words and sometimes a still black and white photograph provided by the parent company of TVW7, West Australian Newspapers. Programmes were in the main American series, although it was claimed by TVW7 after six months on air that they were transmitting 39.9% Australian content. Much of this (of necessity) was locally produced and included Monday to Friday ‘live’ children’s shows; regular ‘live’ women’s shows; religious presentations on Sunday and a Christian Epilogue before close of transmission each night; local weekly sports (primarily Australian Rules Football) previews and autopsies; current affairs interview ‘specials'; both children’s and adult’s talent quests; general variety and Tonight style entertainment. The immediate winners from the advent of the new medium were undoubtedly the hundreds of people who were required to make the whole thing work. Without former training, these fortunate people were inducted into a glamourous world which was itself the focus of hundreds of thousands of infatuated viewers. There was an immediate proliferation of television sets and those without could always find an accommodating neighbour or the window of the nearest electrical retailer, who also shared as a winner in the new commerciality along with the Hire Purchase companies. Whilst it had been observed that a television transmitting license was a license to print money, this view was not shared by the TV station proprietors in the first six months, who saw that their expenses in providing the wherewithal and the operators came at the cost of having to share the advertising income of their previously near-monopoly newspapers. However, this situation was soon remedied as the clamour to ‘sell’ on television exploded into a bonanza, as can be seen from the annual reports. In the second year of operation the shareholders received a dividend of 10%, which increased to 15% in the following year and 20% in 1963. The ‘losers’ included the proprietors and staff of movie theatres and drive-ins, live theatre (never strong in Western Australia) and to a certain extent local hotels. 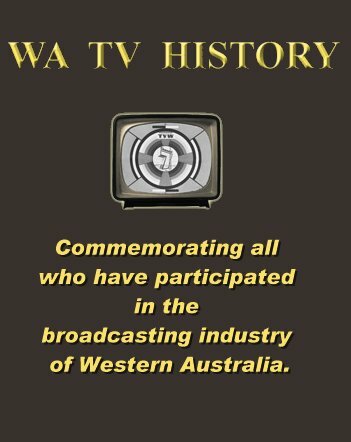 In 1964 the Australian Broadcasting Control Board held a Hearing to determine who would be granted the second commercial licence for Western Australia. Once again Western Television Services Limited presented its case and for the second time were the losers, to Swan Television. Murdoch’s second disappointment was due in part to the active participation of TVW7’s Chief Executive James Cruthers in the application and as a consultant during the Hearing in Melbourne. The viewers were the winners once again as they now had another choice. It is a peculiar fact that the majority of people prefer to watch programmes interrupted by advertising, than the alternative which is available on National stations. The losers included the shareholders of STW9 which reported an operating loss of $327,200 for its first year. TVW7 once again paid a dividend of 20%. One year later STW9 made a small profit of $12,783 which rose to $327,200 in 1968. ‘The license to print money’ maxim now had validity in Western Australia. By 1972 the TVW7 annual dividend had risen to 24% with ‘outside’ ventures providing 30% of the income. STW9 paid a dividend of 12.5%. By 1972 local production was flourishing and both TV stations’ studios were constantly employed. In 1974, big changes in the economy influenced decisions on expenditure, with a wage cost spiral of 45% and a 69% increase in the cost of Australian content. Nevertheless, TVW7 still paid a dividend of 17%. In the same year the company committed itself to build the Wellington Street Entertainment Centre. In 1974 STW9’s profit was still capable of a 12.5% dividend. The following year TVW7 net profit was down (mainly due to the cost of colour conversion) and the dividend was declared at 11%. STW9 paid 14%, a reflection on the fact that the level of popularity for the two stations was levelling out. The Australian Broadcasting Control Board had implemented a new ‘points’ system for ‘local’ content, which was detrimental to Western Australian production as ‘local’ meant Australian. By 1976 the Entertainment Centre was proving to be a burden to TVW7 and they were ‘bailed out’ by the State Government whilst retaining the operating rights for five years. The TVW7 dividend was 11% and STW9 15%. The following year the situation was reversed with figures of 24% and 16%. In 1978 the shareholders of TVW7 were definitely winners again with 26% with STW9 only just trailing with 24%. 1979 was even better for TVW7 which declared a dividend of 30% while STW9 dropped to 16%. The latter station was boasting that they were leading in the ratings OVERALL. Both stations were still producing a high number of local shows. In 1980 TVW7 achieved its eleventh successive annual record profit returning 15% and STW9 showed 17.7%. The significant profits of these ‘cash cows’ could not escape the attention of the Corporate Raiders for long and in 1981 Robert Holmes a’ Court (through the Bell Group) was in charge of TVW7. The shareholders who sold out for $10 a share were certainly the winners. STW9 continued as a ‘family’ owned station paying itself 20% for the year on investment. The abandonment of the Program Buying Cartel (by which the two commercial stations chose programmes from a ‘pool’, (one for me- one for you) produced a big leap in the cost of imported shows, helping in the main to raise operating costs by 28.9%. in 1983 was almost $4 million, STW9 still paid 20% once again. The winners were certainly grinners when Alan Bond made a successful bid for STW9 and the shareholders pocketed $7.50 for each of their one dollar share. At this stage there did not seem to be any losers. With the profits of both stations now hidden within corporate reports in 1989 the Bond Corporation foreshadowed its demise by declaring that it had been forced by Government cross-media ownership regulations to sell STW9 for $11 million, considerably less than its book value. The winner in this deal was a woman from Victoria, the owner of Sunraysia. Ms. E. G. Presser was the controller of 4,588,700 shares in STW9 with 152,000 shares held by various executives of her Company. That situation still prevails. The losers were the ordinary shareholders in the Bond Corporation while the upper echelon of that organisation did not appear to suffer much by way of financial loss. Subsequently, the Bell Group had to divest itself of TVW7 in accordance with cross-media rules. The company was purchased by the Christopher Skase controlled Quintex Group which subsequently failed. The big losers once again were the ordinary shareholders who still thought that a TV license was a license to print money. The winners on this roundabout were the owners of the conglomerate headed by the new media tycoon, Western Australian entrepreneur Kerry Stokes. Two years previously he had been a big winner after on-selling the license for Perth’s third commercial television station to the Sydney-based Channel Ten organisation. NEW10 took almost 14 years to achieve an almost equal third success rating in Western Australia. 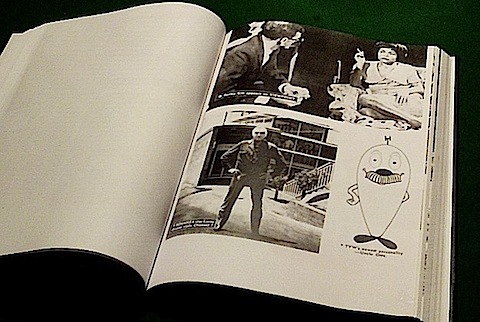 The success or failure of any given television programme, either local or imported, always depended on the ‘bible’ of the industry, the Ratings Book. Averages compiled from a limited number of collecting sheets that were left in random selected households and then collated to ascertain what was watched by whom and when. The Ratings were then used as a yardstick by the advertising community as to where commercial content would be placed. 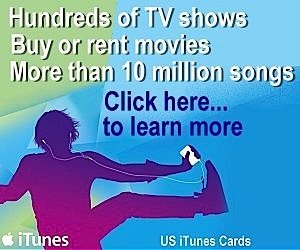 The better the rating, the more money could be charged to advertise within its time zone. It has been shown that TVW7 held an advantage over its competitor for many years. Although various claims have been made as to the reasons for the eventual levelling, it came about through the passage of time and the acceptance of STW9 as being an alternative ‘local’ station. Initial reaction had been that they were foreign interlopers. Apart from having the advantage of being ‘first’, the TVW7 executive had observed the necessity for the station to have community involvement and responsibility. They were close to the people and responded to their support by instituting and maintaining a bardic function by sometimes providing information and entertainment to the audience, not for monetary gain but just because it seemed to be the right thing to do. The unique fact of being the only commercial television station in a very large town was certainly no handicap to this attitude. After almost six years, when STW9 arrived on the scene, the ground rules were firmly in place and they had no choice but to follow suit. To satisfy the clamour for ‘free’ help with fund-raising from myriad sources, the concept of the Telethon was instituted in 1968 by TVW7. It was a further seven years before STW9 conducted an annual on-air Appealathon but in the interim they provided no-cost promotion for all sorts of charitable organizations. The most peculiar aspect of replies to a question regarding Community Responsibility was that most respondents reflected the foregoing. Very few related the question to matters of program content in regard to ethics, morality or censorship. During the early 1980s various factors came into play which saw the eventual almost total cessation of the production of local ‘live’ programmes such as Children’s, Women’s Afternoon, Quiz, Talent and Tonight Shows. Whilst many respondents were of the opinion that it was the result of corporate greed, there were other influences at work. The broad-band link with the Eastern States provided a very limited link. The greatest innovation was the introduction of the Satellite for cross-country and around-the-world transmissions of television programs. Aussat added to this facility with lower costs and multiple availability of channels. Net-working was now possible without constraints, the ‘local family’ nature of ownership changed, with the result that corporations now ran television stations and the ‘bottom-line’ was not to spend money on anything that didn’t make money. All of the above types of programmes could be made in Sydney or Melbourne and shown at the same time in Perth (albeit two hours later), exactly as they went to air in New South Wales, Victoria, Queensland and Tasmania. The costs were minimized and shared between the various net-work stations. Local ‘heroes’ as television personalities became a thing of the past (with the Newsreaders winning the Logies for ‘Most Popular’) and the ‘stars’ appearing on Telethon (the only local live production of any note now) are the people who constitute the casts of the Soapies, Doctors and Nurses, Police and Life-Style programmes produced elsewhere. In the case of NEW10, even their nightly News is transmitted to Perth from Sydney. The logical outcome will be that both TVW7 and STW9 at some time in the future will do the same, with a ‘local’ insert garnered by a very small group of Perth based reporters and cameramen. One area of societal change can be viewed in microcosm in regard to women in the workforce. Because of the acceptance of female journalists at West Australian Newspapers, in the first days at TVW7 most of the Production Department were women, although it must be noted that there was not parity in remuneration. The other female staff members were occupying the jobs of their sisters in the outside world, regimented by dress codes and subject to dismissal should they choose a course involving matrimony. The latter did not apply to those lucky enough to aspire to ‘stardom’, two of whom continued ‘on-air’ after marriage and pregnancy. By the time that STW9 commenced operations in 1965, some of the more stringent regulations were on the way out. Today the ‘glass ceiling’ has some very visible fractures and in 2002 we had the example of the Chief Executive of the Seven Network of Australia and the absolute owner of STW9 both being women. Many people espouse the notion that it is the fate of Western Australian television stations to become mere relay facilities. Despite having its own culture as dictated by the local experience, the viewing public will of necessity be compelled to look upon themselves as Australian rather than Western Australian. The natural evolution of a corporate world and economic rationalism will mean that in this area Perth will remain the most isolated ‘big town’ in the world and therefore a social and cultural outpost. Those who are well trained in television participation, production and engineering will have to pursue their careers elsewhere. In this round there will be no ‘local’ winners. It can be argued that television production people in the local setting are but a miniscule part of the population but so are actors, artists, authors, classical dancers and opera singers. Any suggestion that they are expendable in society would be greeted with derision, yet an industry, which particularly in the field of children’s entertainment and education with local emphasis that provided much, has been allowed to disappear. In the late 1960s approximately 25,000 children each year visited the two commercial television stations to participate in and enjoy the daily productions and likewise, large numbers of adults provided the audiences for Women’s, Quiz, Talent and Tonight shows. From this viewpoint, everybody in Western Australia is a potential loser. The public need personalities who represent a broader mainstream of society than the ‘heroes’ provided by Australian Rules Football, cricket and other minority sports. Some of those who control the purse-strings say that local ‘live’ production disappeared because of lack of support from the viewing public. The success of It’s Academic in recent times shows that this is not true. It is more a matter of abrogation of community responsibility. It well may be too late to change the situation in these times of ‘free markets’ and it is too optimistic to believe that Governments could move to correct the mistakes of fiscal evolution. 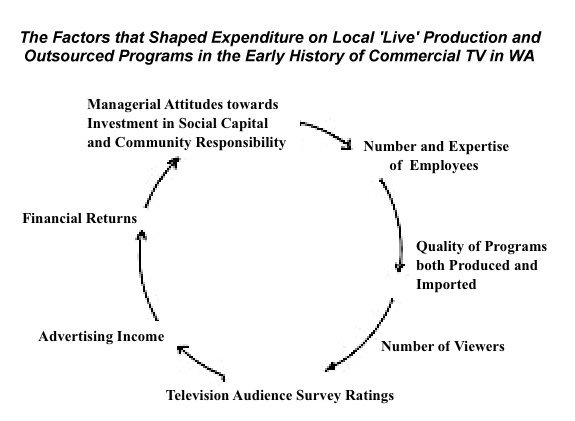 It will be most regrettable and to the detriment of following generations of Western Australian television viewers if ‘direction’ cannot be introduced to ensure that in this area of massive public interest, a certain amount of monetary capital is not directed towards the maintenance of social capital. The thesis has demonstrated the validity of this theorem. Finally, this continuum was broken by managerial diminution in the area of community responsibility, misplaced Federal Government regulation, technological advances, networking and economic rationalism engendered by corporate greed, all of which contributed to the disappearance of local ‘live’ television production in Western Australia. Great site! Nice one, I’ll be back for more.